Oh happy day! This scented slime recipe has everything you need to make your day happier…well at least we think so! 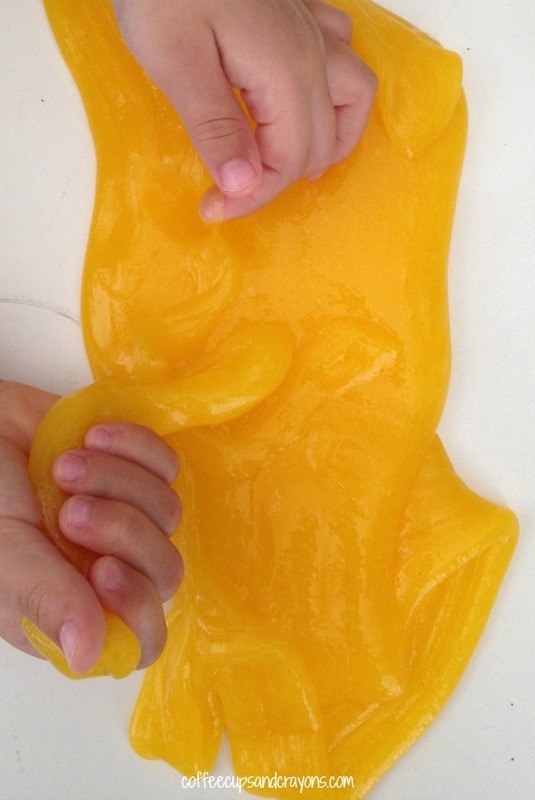 Slime is already a great sensory experience for kids and making it scented makes it even more engaging. We scented ours with orange essential oil and my kids are obsessed. My preschooler says its the happiest slime she’s ever played with so we had to name it Happy Day Slime! To make Happy Day Slime add two bottles of clear glue to a bowl. Add 3-5 drops of orange essential oil and yellow food coloring and mix together with the spoon. Add in 1 cup of liquid starch and start to stir. It doesn’t become slime right away so don’t get worried if it doesn’t look like what you expected. Stir until it is all combined and becomes a ball then let it sit for a couple minutes to gel. Knead it with your hands until it has the consistency you see in the photos. Then it’s time to play! What size glue bottles? Thanks! Great question! I can only find one size clear glue in one size, 5 or 6 ozs. Does the slime dry out? Or can you keep it in a closed box for later use? Just wanted to add a caution to be careful when using food coloring when making slime, goop and play dough recipes. It does stain – kids hands, fabrics, etc. 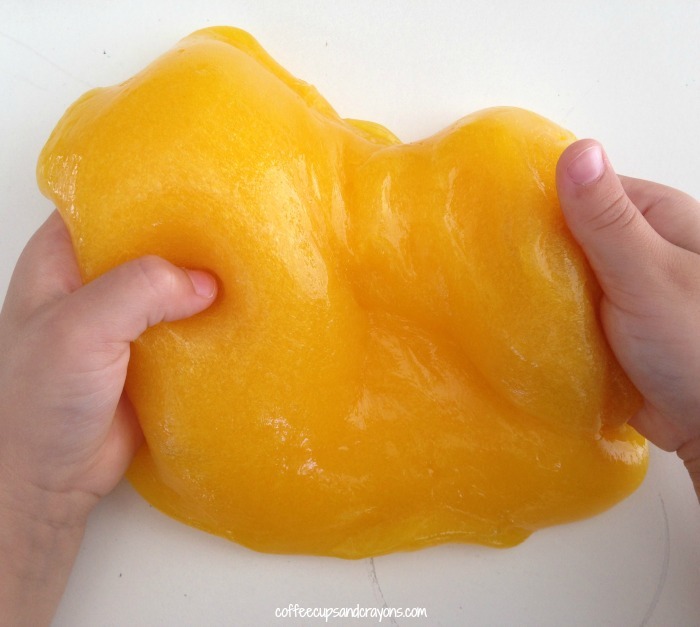 so be careful to use this slime outdoors or in the kitchen.